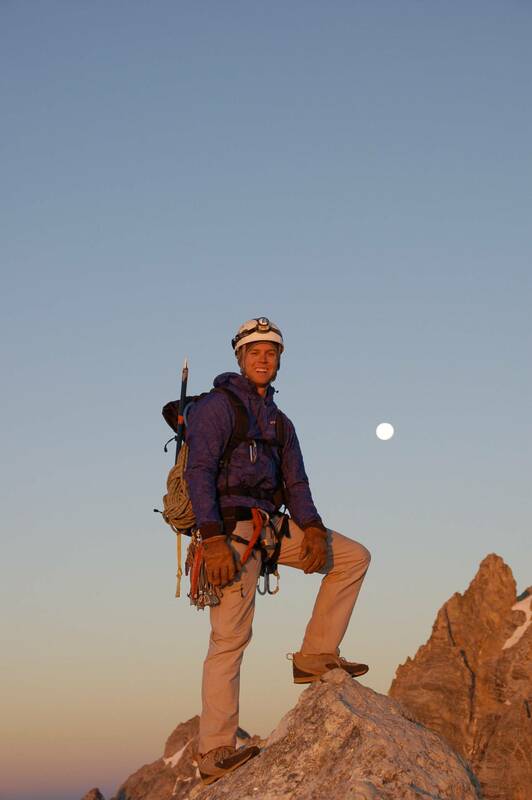 In August 2006 Aaron Kahn and I climbed the East Face of Teewinot during a full moon. We left Lupine Meadows trailhead shortly after midnight. The climbing was straightforward besides on section of frozen snow that was iced up. 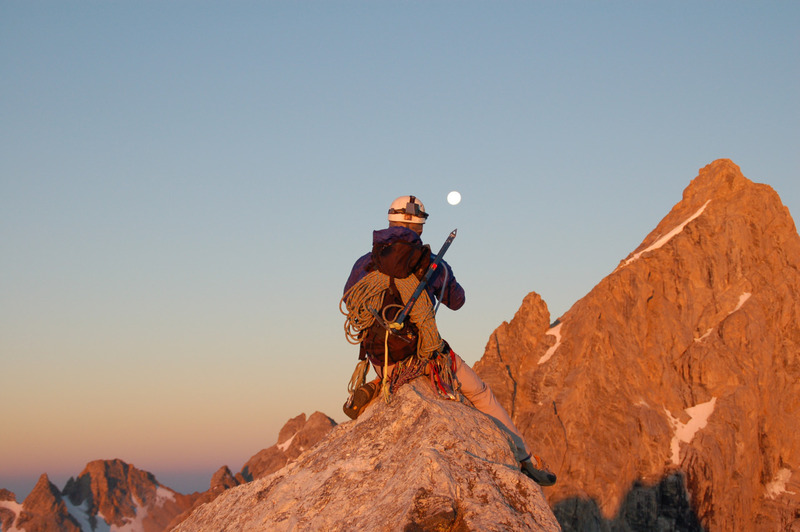 We summited before sunrise and slept for a few hours, huddled in our down jackets. 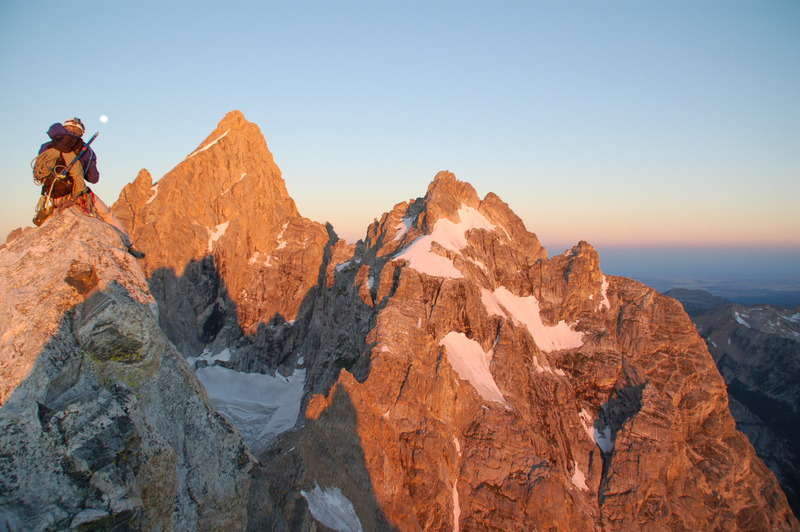 When we woke the Tetons were being blasted with the best alpenglow I’ve ever seen. We sat on the summit and roasted a cup of coffee and enjoyed the solitude. It was truly one of the most beautiful moments i’ve ever seen.